Home > 12 Packs Of Lobsters! > Land O' Lakes Butter > Fresh Lobsters! > Live Lobster 4 Packs! > 4 Pack Of 1 1/2 pound lobsters! 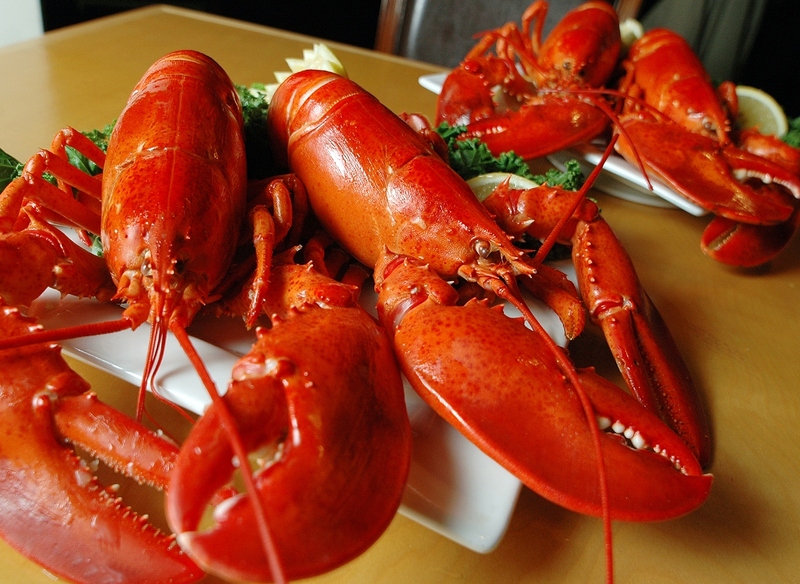 Our Four packs of 1 & 1/2 Live Maine Lobsters Is A Great Option at a Great Price! Packed Fresh And Shipped Overnight Right To Your Door! Live Lobster 2 Packs! • • Live Lobster 6 Packs! We'll pack you up 4 of our finest 1 1/2 Pound Live Lobsters and Ship them overnight Right to your Door! The perfect Lobster Dinner Pack! A Great Gift Idea, for Holidays, Anniversaries, Birthdays, or just a Great Thank You! 1/2 Dozen Steamed Jonah Crabs! I just had to let you know that I am a totally satisfied customer. The lobsters I ordered from you arrived on time for my next day celebration of my daughter's birthday. They were still alive and kicking after storing them as you suggested. I couldn't be more pleased. They were juicy, delicious and succulent. Thanks you for your perfect service. I will be ordering from you on our next special occasion. Keep up the good work. Great lobsters at a great price! We will order again!